Sony decided to “go for it” with the KDL-32W650A. This little 32 inch dandy is loaded for this size TV. First, those bright LED lights are unusual, then 1080p is unusual for 32 inch, then you also get Wifi, Smart TV features, and the X-Reality Pro engine for a crisp, clean picture image. 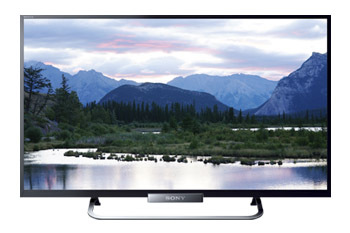 Sony didnt pull many punches with this little model, opting to go for best quality 32” TV. There are not a lot of quality 32 inch models in the market so this one is welcome. This feature working in conjunction with the 120Hz panel can distort the natural background blur in the picture somewhat in movies or film-based content so use with care. It's great for sports programming though. Sony realizes that as a 32 inch TV, users will likely be using the speakers built into the TV rather than true surround sound. With that in mind they created the S-Force 3D Surround speakers for TVs such as this one. S-FORCE Front Surround 3D is a virtual surround technology that allows you to enjoy powerful and realistic surround sound using the built-in speakers. The effects are especially noticeable when you are watching movies. This feature uses Wifi Direct to display content from your smart phone wirelessly direct to your TV. It will use Miracast technology. This feature was introduced in 2012 but is only now becoming viable and is available on the KDL-32W650A. While this may not be the most economical 32” TV on the market it does give you lots of extras that are thoughtfully placed in this TV for those who want a higher quality experience from a TV that will fit into a smaller space.